The number of virtual reality and augmented reality headsets coming to market continues to rise. The combined headset market will reach 14 million units shipped this year, a drop in the bucket compared to where sales are going. In four years, there will be 81 million headsets shipped, growing 56% a year from now, according to the latest forecast by International Data Corporation (IDC). However, that is slower growth than previously projected. An earlier IDC forecast in March projected the overall number of headsets in four years at 99 million, now trimmed to 81 million. VR rules in the short term, accounting for 90% of the headset market for the next two years, with AR headsets accounting for the rest. However, in the following two years, there will be exponential growth in AR headsets, accounting for a quarter of the market, according to IDC. There’s also a significant amount of money involved. AR headsets are on track to account for $30 billion in revenue in four years, almost twice the revenue of VR headsets, since most of the AR headsets will be more expensive. However, most consumers will experience augmented reality via mobile devices. Consumers usage continues to drive VR headsets. By market segment this year, 78% of VR headsets will head to consumers with 22% targeted at commercial use. 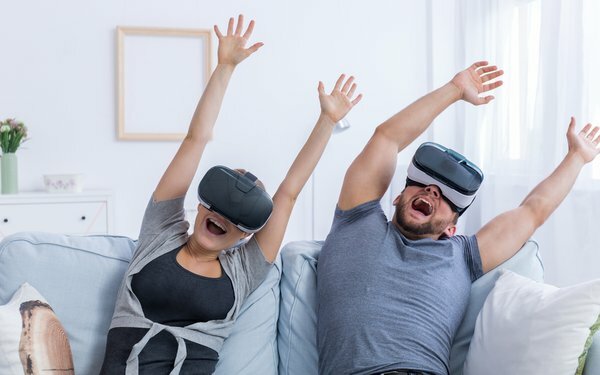 The situation will not significantly change in four years, with the majority (72%) of VR headsets still being targeted to consumers. At CES in January, where major tech announcements across categories occur, we’ll again see what’s coming in the world of both VR and AR, which could push the numbers even higher.